eMobilePOS has teamed up with several partners to demonstrate tablet and mobile POS, self-service kiosk solutions, and the new Tupyx customer engagement & ‘order-ahead’ platform to retailers visiting NRF 2018, Retail’s BIG Show January 14-16 in New York City. Please visit NRF’s website for more information and tickets. SOMERSET, NJ. —Nov. 6, 2017 — Star Micronics, a leading manufacturer of mobile, Point of Sale (POS), and a customer engagement technologies, today announced it has teamed up with e-Nabler Corp., developer of the award-winning eMobilePOS® suite of point-of-sale solutions, to offer intelligent cloud printing for orders submitted via e-Nabler’s mobile ‘Order-Ahead’ and stored value app TupyxSM. The solution will be premiering at IAAPA Attractions Expo (booth #3157) in Orlando, November 14-17.
eMobilePOS has teamed up with Star Micronics to demonstrate modern and innovative tablet and mobile POS solutions to the amusement and entertainment industry, meeting at IAAPA in Orlando November 13-17.
eMobilePOS enables retailers, mobile merchants, restaurants, food and beverage stands, and other field users to use tablets and smartphones in tandem with Star Micronics POS printers and cash drawers. Join eMobilePOS at the Retail Pro Global Council in San Diego, October 13-15 to learn about mobility and order-ahead solutions for Retail Pro 8 and 9.
eMobilePOS is partnering up with Elo to demonstrate several turnkey tablet and mobile POS and kiosk solutions that offer full integration with Retail Pro 8 and 9. 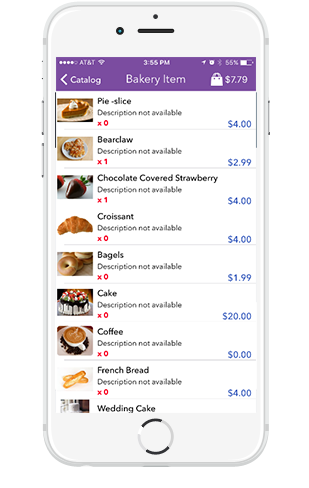 In addition, Tupyx, our premium order-head solution is premiering, providing SMB merchants an affordable mobile app for customers that want to place orders directly from their phones for pick up or delivery. Learn more about Retail Pro Global Partner Council here. Tupyx order-ahead enables shoppers to place orders directly from their phones. 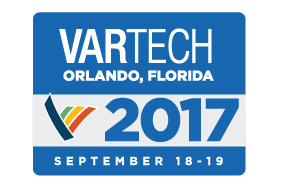 eMobilePOS is proud to be a sponsor of VARTECH 2017, September 18-19 in Orlando, one of the largest channel events organized by long-time partner BlueStar. We will be demonstrating the latest POS features and have a broad selection of certified hardware on display. We are looking to forward to a successful week!  Join eMobilePOS Passport for the Profits and get a headstart on your RSPA week. Enjoy refreshment and hors d’oeuvres while learning about special announcements from our partners with prize drawings every 15-20 minutes. Secure your spot today. Space is limited. GoPro cameras, gift cards, and much more. 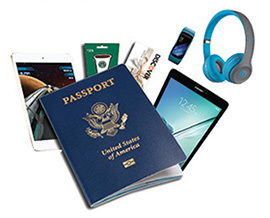 Return this passport card complete with all partner stamps to the eMobilePOS booth #808 for your chance to win. The prizes will be raffled on Tuesday, August 8 at 4:00 pm at the eMobilePOS booth. eMobilePOS is getting ready for RetailNOW 2017 August 6-9 in Las Vegas. Meet us at booth #808.
eMobilePOS® is a Native App turning Apple and Android Tablets and Smartphones into low-CapEx yet full-feature POS. With features like inventory controls, modifiers, EMV payments, duty-free sales, off-line mode etc., eMobilePOS serves merchants of varying size and vertical. eMobilePOS also comes in self-checkout Kiosk edition and integrates with Tupyx(SM) Remote Consumer Engagement with advanced gift and loyalty and a consumer-facing ‘order-ahead’ application. etailNOW is the must-attend show for anybody and everybody providing Point of Sale solutions in the POS Ecosystem, from Grocery and Hospitality to Retail and other Specialties. It’s the only show that focuses strictly on technology providers (resellers, software vendors, payment professionals, manufacturers and distributors). And as the driving force behind RetailNOW, RSPA works hard to ensure that RetailNOW is relevant, informative, collaborative, valuable, and entertaining. Visit eMobilePOS at booth #164 during Sage Summit, May 9-11 in Atlanta and learn about our fully integrated mobile POS solution for Sage. e-Nabler Corp’s eMobilePOS® is a Native Application that turns Tablets and Smartphones into full-feature POS systems -seamlessly integrated with Sage 100, Sage 300, and Sage 500. Visit the Sage Summit web site to learn more about the event. 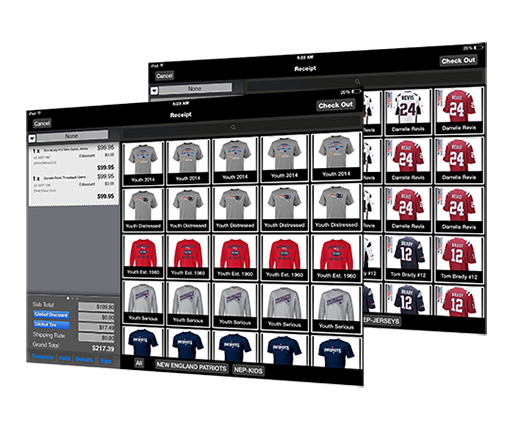 Thanks to our partner International Micro System, eMobilePOS will be used to sell NFL team gear at the Super Bowl LI for the third year in a row. The NFL shops have been set up with fully equipped iPad ‘hybrid’ countertop POS stations powered by eMobilePOS, featuring the Star TSP650 printer and Cayan Genius payment devices. iPod touch devices with Honeywell’s Captuvo sled are used to process mobile payments. eMobilePOS has been fully integrated with Retail Pro to work seamlessly with the legacy POS system that was already in place. Speedy service and checkout is crucial during sports events. Fans want to quickly purchase their favorite team jerseys and other souvenirs and get straight back to the seat. eMobilePOS speeds up the checkout and the iPod touch devices make it possible to quickly add extra capacity during peak times and process payments from anywhere in the store. eMobilePOS is used at the NFL shops located at the NRG Stadium in Houston during both the Super Bowl game and the Pro Bowl game. In addition, eMobilePOS is used at NFL shops in the Houston convention center, contracted NFL hotels, and pop-up retail tents and trailers outside the stadium and convention center. Learn how Elo, Star Micronics, and e-Nabler have teamed up to provide an innovative space-saving, full-feature POS solution. Matt Inan (e-Nabler) and Dave Murphy (Elo) are interviewed by Brianna Moriarty from Star Micronics.